Inevitably in our Web 2.0 seminar, we talk about the fact that technology, like any tool, can be a force for bad as well as a force for good. It basically depends on who’s using it. I always argue that just because technology can be used to make bad things happen doesn’t mean we shouldn’t embrace it. Quite the opposite, we should try to get it into as many “good” hands as possible. It’s also an indication of how a more interactive, empowered online community, particularly in the Arab-Islamic world, may prove to be Al Qaeda’s Achilles’ heel. 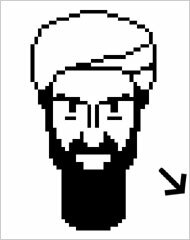 Anonymity and accessibility, the hallmarks of Web 1.0, provided an ideal platform for Al Qaeda’s radical demagoguery. Social networking, the emerging hallmark of Web 2.0, can unite a fragmented silent majority and help it to find its voice in the face of thuggish opponents, whether they are repressive rulers or extremist Islamic movements. The opinions expressed here are solely the author’s.